So, first, let me say I am very happy that September is here. For those of you who may be part of the My52WOW family, you know that historically, August has been a challenging month for me. This August was no different. But with a flip of the calendar, comes a fresh month, a new start, and a welcome one. Also, finally, I have finished the last My52WOW book club pick, Shambhala, The Sacred Path of the Warrior. Why, you may ask, did it take so long? Well, for many reasons – life got in the way, my committment to reading daily wavered, but mostly because I really enjoyed the book and didn’t want it to end. I fully expect to re-read it, and have been planning for a long time to re-visit the Shambhala Meditation Center in the Rogers Park neighborhood in Chicago – which I visited in week 29 of the first 52 weeks of My 52 Weeks of Worship. I feel that my education in the area of meditation, Shambhala style, is far from over. Stay tuned! But, we move on. 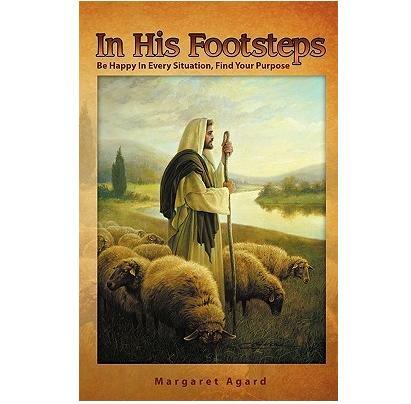 To the new book club choice: In His Footsteps: Be Happy In Every Situation, Find Your Purpose. All of these points appeal to me. I look forward to reading this book. I encourage you to read it as well, and let me know what you think of it!